Take the virtual tour created using Photosynth. Interesting tool – this tour is a work in progress. 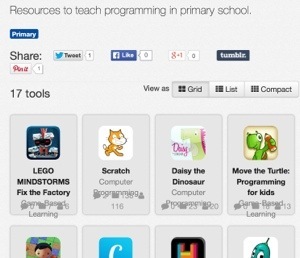 I have gathered some of the programming apps and resources for teaching programming to younger students using EdShelf. Since my earlier post Introduction to Programming I have discovered a few new apps. These are in this collection. Welcome to a new campus edublog for the Junior School! We have migrated the data from our Edublog pro account to a Edublog campus site. The old blog is still live but new posts will not be added or entries updated. Fighting PlagiarismBy Jamie McKenzie, ©2013, all rights reserved.About authorWhat are the best ways to combat the trend toward plagiarism?How can we best teach our students to value and practice original thinking?How can we structure research so that students must make answers rather than just finding them?